Singapore authorities are trying to position the Southeast Asian republic as a debt restructuring centre on a par with London and New York, according to a new report from Stephenson Harwood. 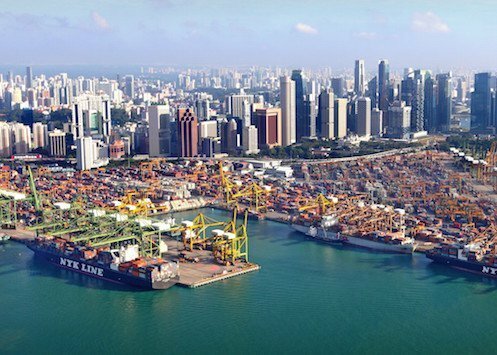 The law firm has issued a review of the enhanced Singapore scheme of arrangement and a comparison against English schemes of arrangement and US Chapter 11 in the context of the marine and offshore sectors. “The Singapore government is seeking to make Singapore a debt restructuring centre akin to London and New York. The aim is to replicate the success it has had in making Singapore an international financial and arbitration centre,” Stephenson Harwood noted. To enhance the Singapore restructuring framework, the Singapore government amended the existing statutory regime by passing the Companies (Amendment) Act 2017, the relevant parts of which came into force on 23 May 2017. The changes are wide in scope and cover schemes of arrangement, judicial management, winding up of a foreign company and recognition and cross-border insolvency. In summary the changes have made it easier for non-Singapore companies to take advantage of the Singapore debt restructuring regime due to the statutory codification of ‘COMI’ principles. The changes have also enhanced the legal framework for restructurings in Singapore by increasing the number and the potency of the restructuring tools available. Importantly, the amendments have introduced a clear framework for courts to recognise and assist foreign insolvency proceedings. Stephenson Harwood suggested the updated Companies Act represents a shift towards looking at restructurings from an international perspective. “Anyone familiar with Chapter 11 proceedings will quickly note that the changes highlighted above bear significant resemblance to certain aspects of Chapter 11 proceedings,” the Stephenson Harwood report stated.